The Indian economy is experiencing a slowdown, according to a recent International Monetary Fund (IMF) report. India's growth remains one of the highest in the world, but a range of factors have weighed it down, the IMF said. "Following a rapid recovery after the global financial crisis, the economy has slowed more than most other major emerging markets, as investment has been dampened by a confluence of cyclical and global factors, as well as by concerns about structural impediments." 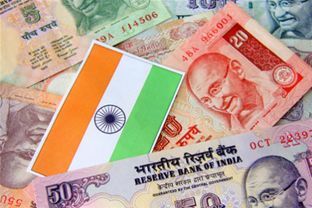 Growth is expected to be about seven per cent for 2011 - 2012 and 2012 - 2013, with inflation remaining above the Reserve Bank of India's comfort zone. "Investment is anticipated to pick up modestly from the slump recorded in late 2011, and consumption should remain robust, but exports are expected to cool." A speaker at the marcus evans Effective Risk Management for Treasury Conference, P. Ganesh, CFO and Company Secretary, Godrej Consumer Products Limited believes that India's slowdown is due to, "macroeconomic factors, the uncertain global scenario coupled with a situation of policy paralysis in the country, rupee depreciation precipitated after the elections in France and the possibility of Greece going out of the Eurozone have all contributed to the slowing down." This makes it critical for the Treasury function in an organisation to, "generate cash from the system, focus on working capital reduction and maintain a tight leash on cashflows," Ganesh adds. "To be dynamic, they need to limit their open foreign exposures, especially on imports, be judicious on spends and defer capital expenditure, where possible." Ganesh is a speaker at the marcus evans Effective Risk Management for Treasury Conference, in India, 6 - 8 June 2012.